Some users felt regrettable, after they upgrade their iTunes from iTunes 12.6 to iTunes 12.7, which have removed the App Store, or sometimes the changes are incompatible with their particular workflow. So they want to know are there any methods to downgrade their iTunes 12.7 to iTunes 12.6 again. Yes, with a little effort, you can downgrade iTunes 12.7 back to iTunes 12.6 on either a Mac OS computer or Windows PC. Before downgrading iTunes 12.7 you should know that you can manage and download apps on iPhone or iPad without iTunes, directly in iOS as detailed here, including manually copying apps to the iPhone or iPad via IPA files. 1. Back up the Mac if you haven't done so already. 2. Quit out of iTunes. 8. 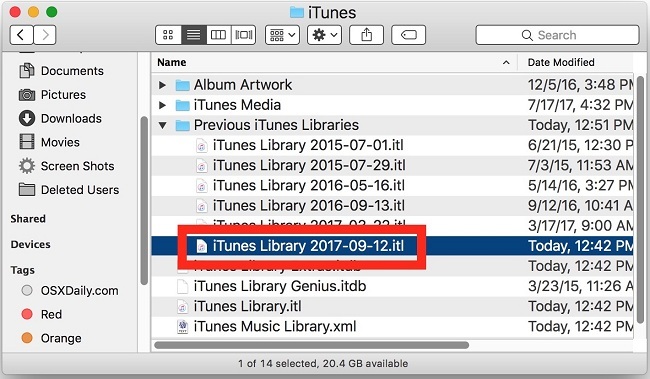 Drag the copy of "iTunes Library 2017-09-12.itl" to the ~/Music/iTunes/ folder and rename it to "iTunes Library.itl"
9. Now go to Apple iTunes Downloads page here and locate "iTunes 12.6.2" and choose to download that to the Mac. 10. Install iTunes 12.6.2 on the Mac as usual, then launch iTunes once complete. 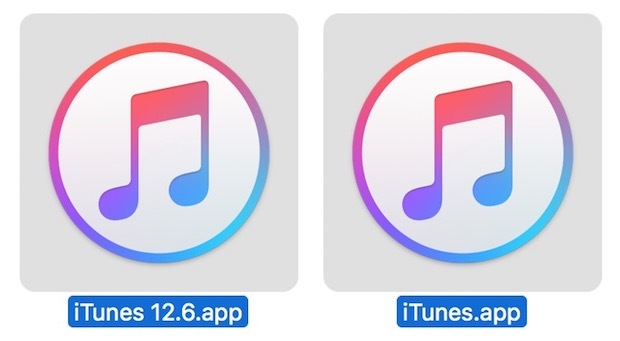 That's it, you're now back to the prior version of iTunes.